I love finding new independent brands, especially ones that produce beautiful handmade items. 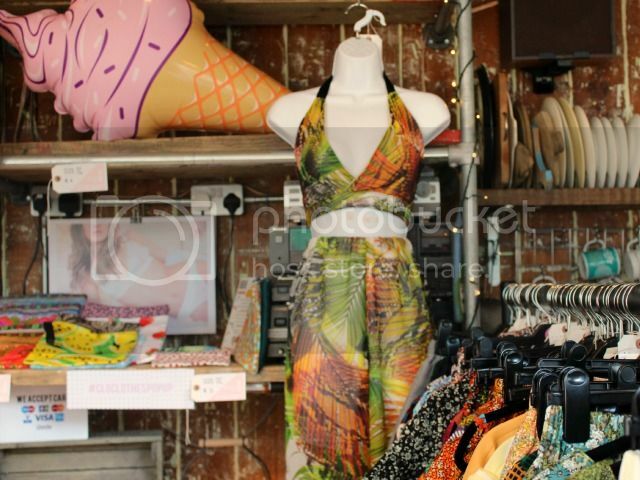 On Saturday I had the chance to go along to the CLOCLOTHES Pop Up shop in Brighton's Laines. 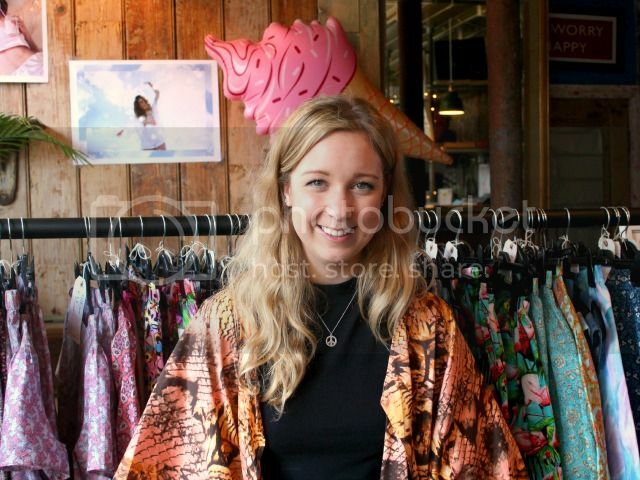 Owner Chloe Pestell launched the company in May last year and offers adorable and unique clothing and accessories. What I particulary love are the strong vintage vibes throughout Chloe's designs and the dreamy fabric she uses. 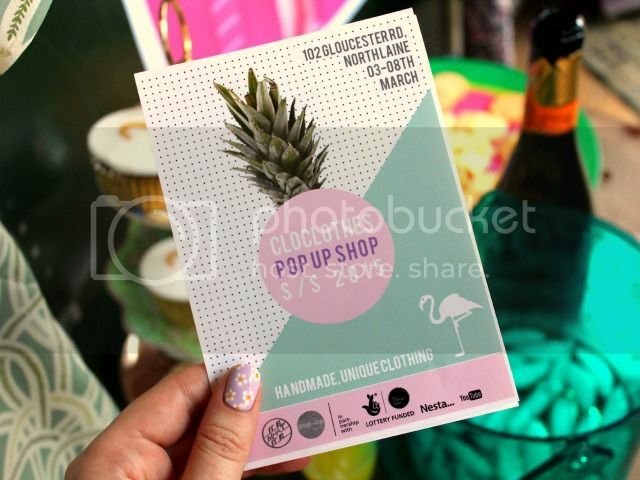 The pop up was hosted at It Is What It Is and the CLOCLOTHES team were there all week. Along with the new collection, there were workshops, live performances, prosecco and cakes to be enjoyed! When I popped in Lizzie was there with her ukulele, singing some beautiful covers. It was a really nice touch and combined with the festival feel of the collection I found I was wishing for summer! 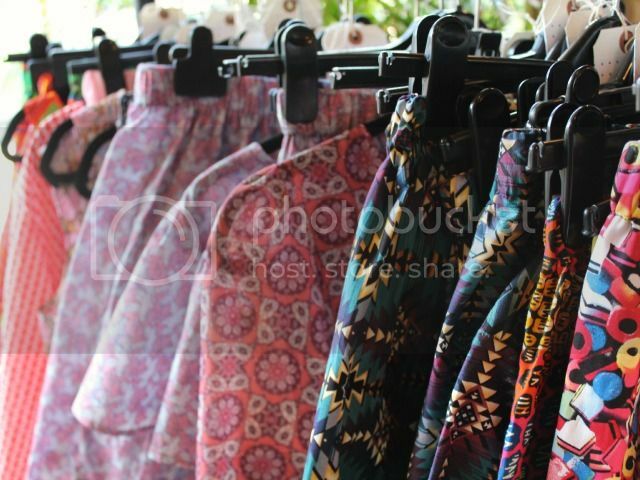 The Spring/Summer collection is bursting with pretty patterns and co-ords. 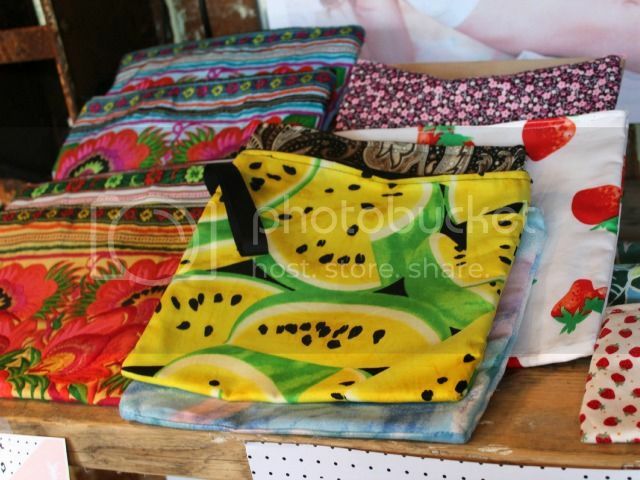 My favourite items featured some amazing seventies inspired floral prints! Each item is handmade by a member of Chloe's tiny team. This means that there are only a handful of each design made - a breath of fresh air in comparison to the high street's copycat pieces. There is also a chance to get your paws on limited edition made-to-measure pieces! 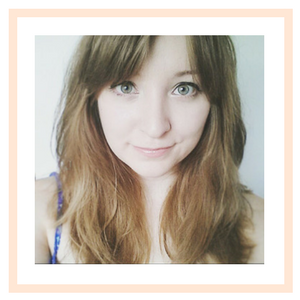 It was really lovely to meet Chloe and chat about her gorgeous business. Keep your eyes peeled for a special collaboration with Liv Purvis soon - you might have already seen Liv sporting Chloe's watermelon shorts. I'm currently on a 'get fit for summer' campaign, but as soon as I've reached my goal I'll definitely be treating myself to something from the S/S collection which launches online next week. If you're in London, you can find CLOCLOTHES at Greenwich Market and Chloe will also be trading at festivals during the summer (including Secret Garden Party). Alternatively shop online at www.cloclothes.com or at ASOS Marketplace. Such lovely clothes, perfect for summer!